A. Wayne Griffin, owner, strives to be at the forefront of the custom-home industry. 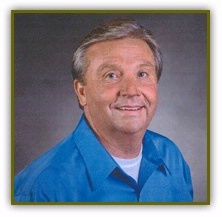 During the early stages of his career, Wayne worked on large commercial projects in addition to home building. He maintains both a commercial and residential building license. His experience provides the foundation for his scheduling, timelines, and supervision to ensure projects are completed in a timely manner. By working with the same established sub-contractors for many years and having detailed specifications, A.W. GRIFFIN,LLC builds homes that have quality standards that frequently exceed area custom homes. Referrals by satisfied homeowners have allowed A.W. GRIFFIN,LLC to build on individuals lots, lake front property, equestrian farms and several of the finer neighborhoods, including Bromley, Carmel Park, Firethorne Country Club, Innisbrook at Firethorne and Queens Gate. Whether we build on your lot, one of our individual lots, or our new Tuscan Ridge neighborhood, you will find our custom-tailored experience to be of genuine and lasting value.